I won’t spoil anything story-wise for those of you who haven’t been logging into Legion by now, just giving a few quick impressions. First of all, of course I didn’t make it to 100 with one of my “normal” characters and had to learn how to play a Retribution Paladin- which isn’t my class at all. Shaman, Druid, Priest- I could live with those. 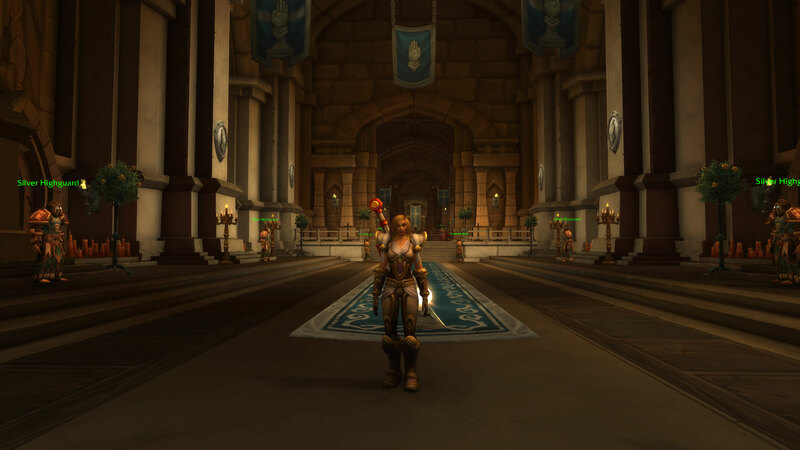 But I boosted a Paladin (rightfully) thinking that I wouldn’t play one through the rest of the game, so here I was, playing Lizah the Paladin for the second time, a boosted character in an MMO I haven’t seriously touched in about 10 years. Thankfully, there aren’t many abilities to learn. I don’t know if I made a mistake, but my main bar isn’t even full- I placed normal fighting abilities there, with buffs/debuffs populating different action bars. Something feels off, though, as Lizah feels a bit low on the damage dealing side for sporting a damage spec. As I’ve been absent for quite some time, I don’t know when World of Warcraft became so good in storytelling- I didn’t remember it that way and when I returned, the old zones didn’t feel particularly different. But at least on the way up to Legion lands, it’s great, it’s varied and it’s presented in a way that actually made me want to experience the story- that of Legion as well as what came before. I have a new sword…it’s supposed to be important. 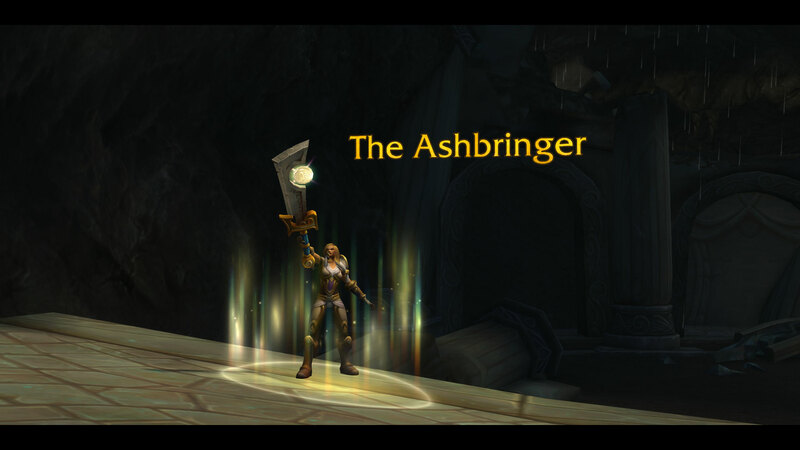 It took some time, though- 3 hours to reach Stormheim, the zone I decided to start out with. The scenario bugged out once, so I needed to repeat it. Other than that, I visited my class order halls and became very important for the Paladins of Azeroth (don’t they know I boosted?). Anyhow, it’s beautiful, it’s new, it’s somewhat fun, albeit a bit confusing for someone returning after a long absence, and I’m not only talking about the story. It’s nice being able to do current content with all the others, it’s a feeling I didn’t have in ages. But somehow, I get the feeling that for all that I’m gaining- actually playing the content of the current expansion, that is- I’m also losing out on something else- namely, the experience that comes with playing characters from 1 to 100, and maybe even content droughts. It might actually be that downtime I’d need to close the gap a bit. I’ll share a couple of screenshots, hopefully without spoilers.